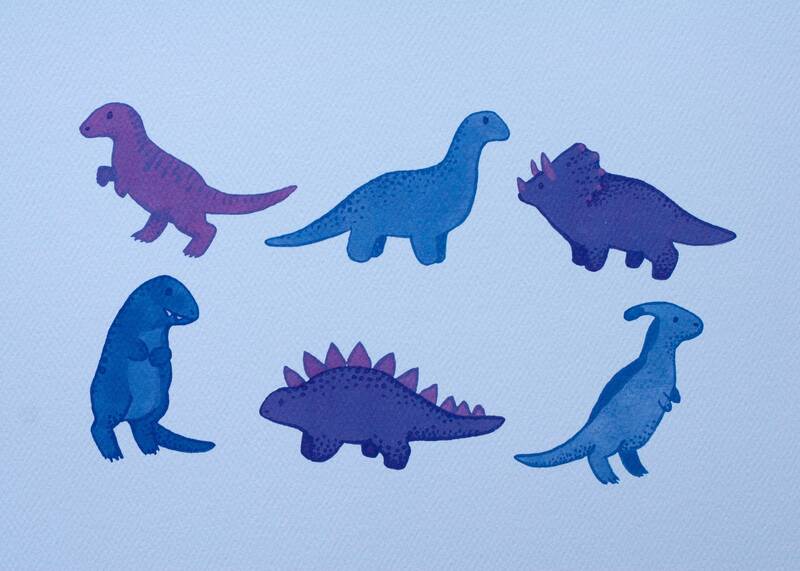 Tiny dinos make a sweet blue and purple crew! 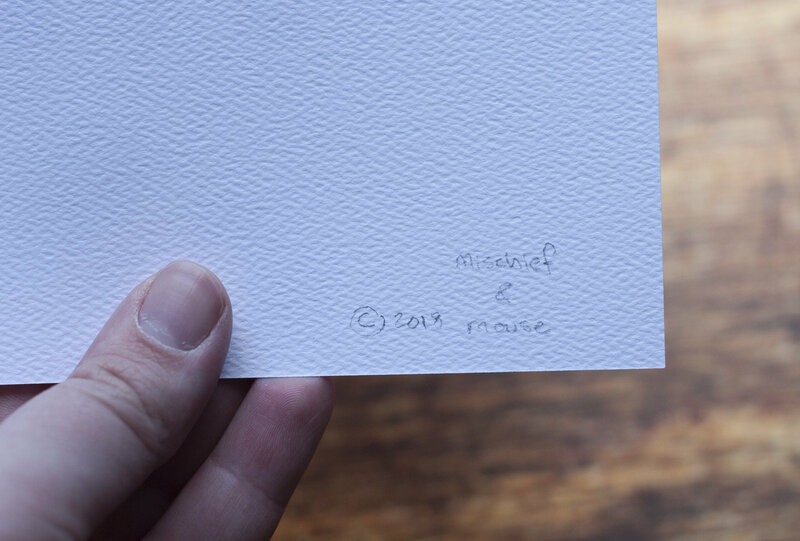 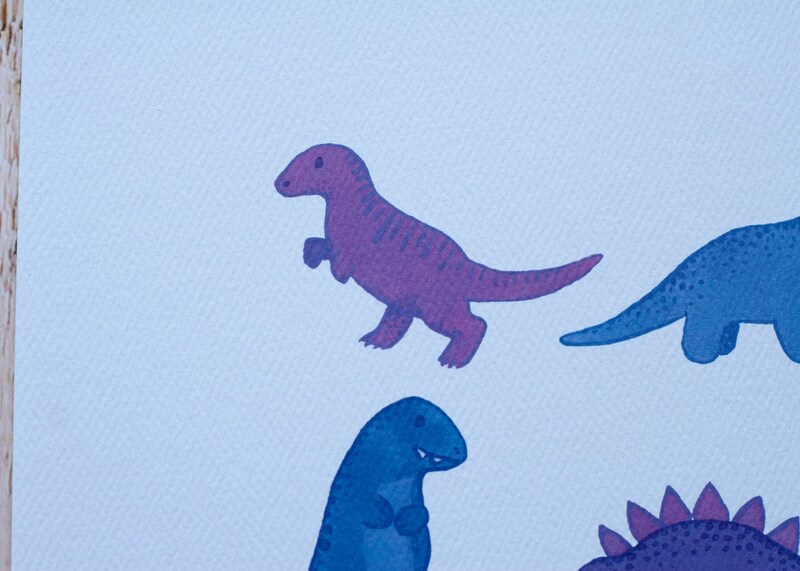 High-quality print produced from an original gouache painting done in my home studio. 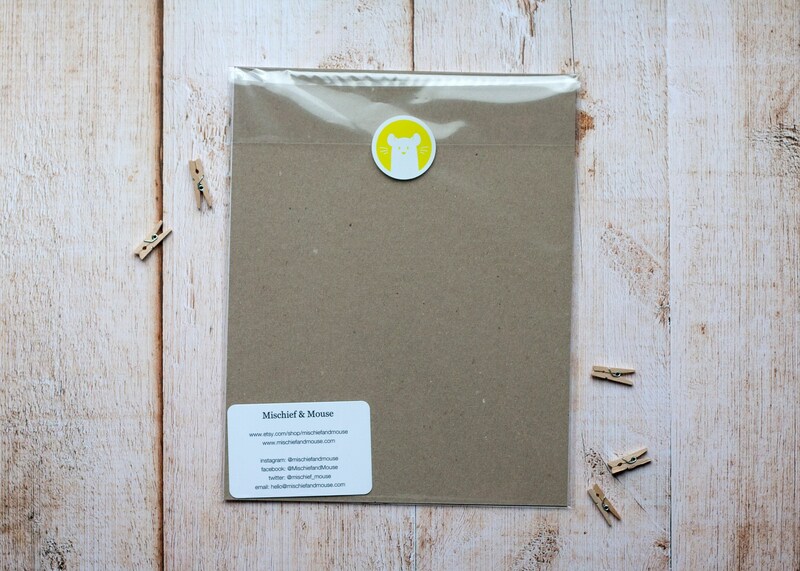 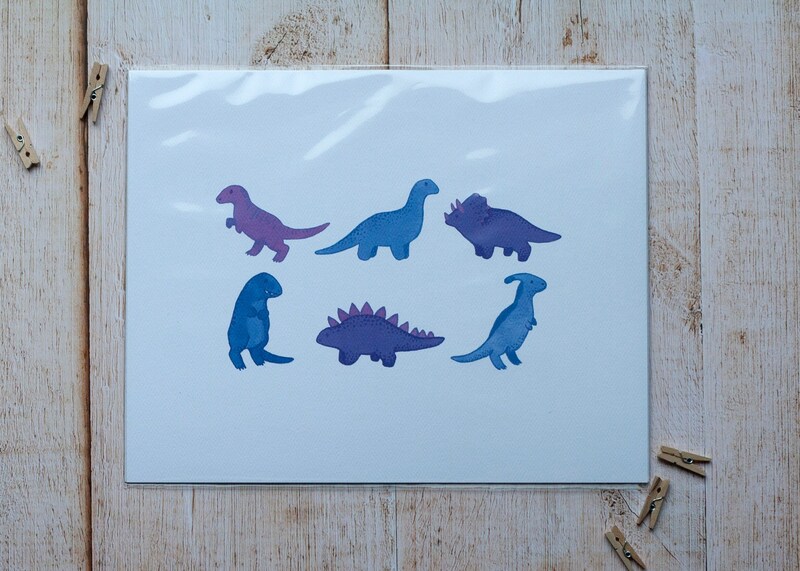 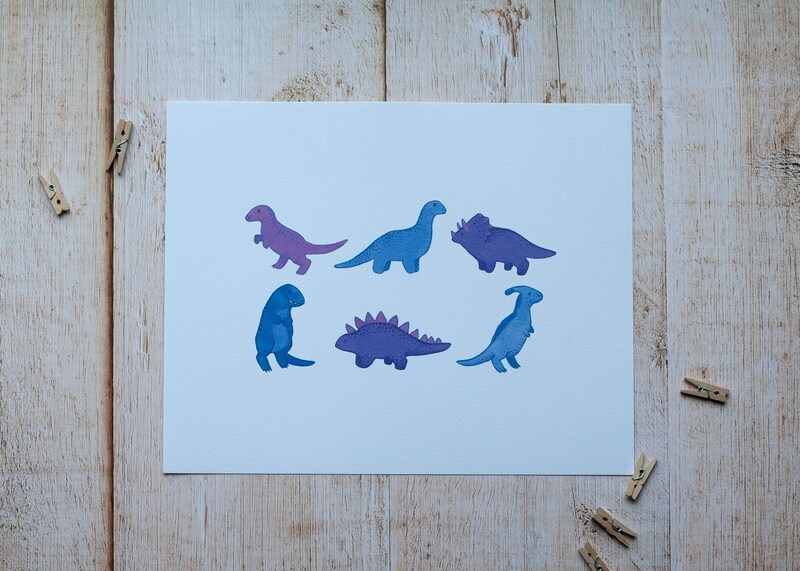 Perfect for a nursery decoration or on a dino-lover's wall.